You are here: Home / Crafts / Crafts for the Home / 40+ Amazingly Creative Photo Display Ideas that You’ll Love! 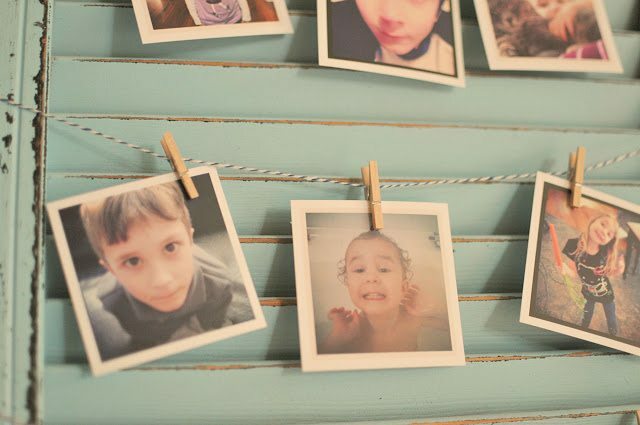 40+ Amazingly Creative Photo Display Ideas that You’ll Love! 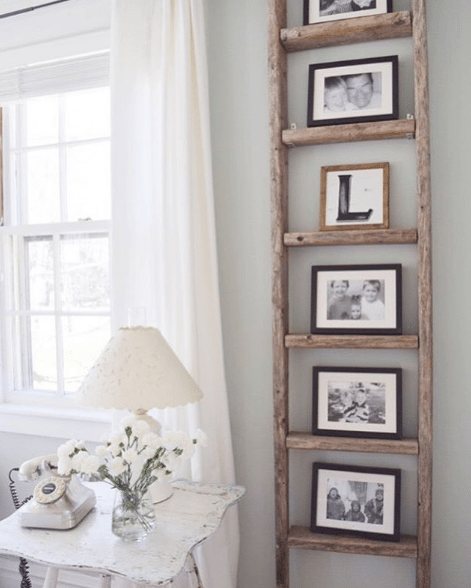 Over 40 DIY ideas for displaying your favorite family photos! 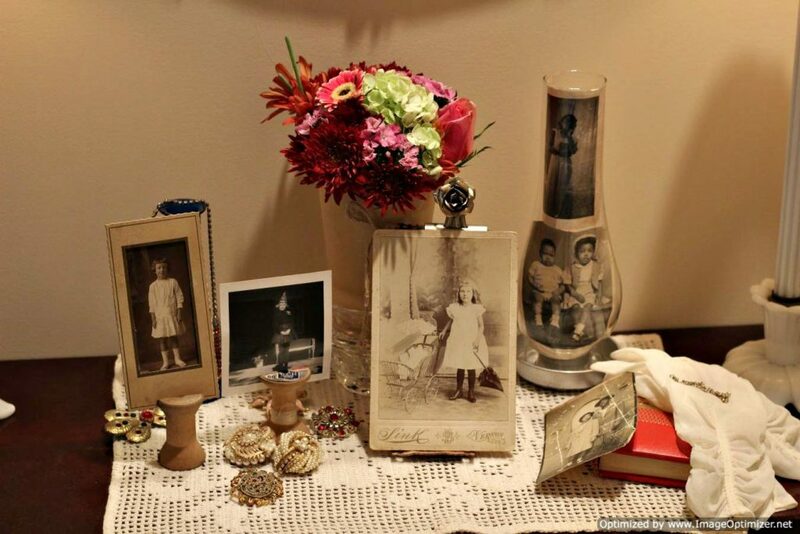 From vintage to handmade, you’ll love these creative photo display ideas. 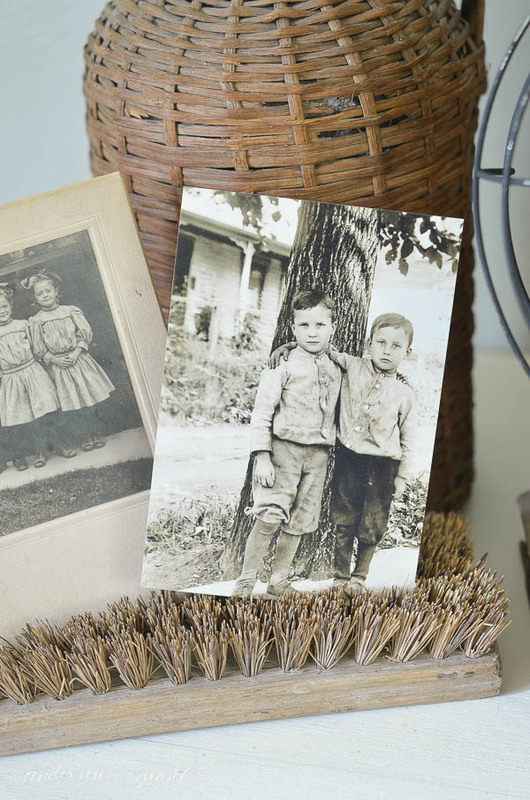 Displaying family photos is an important element in the effort of creating a home. 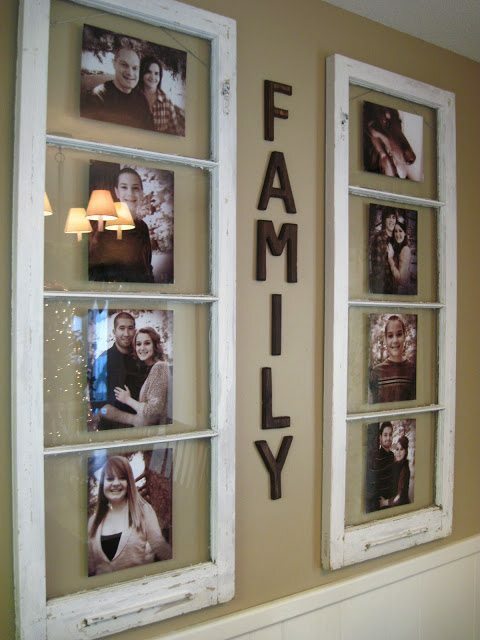 Family photos can be hung artistically and organized in a way that lends itself to the overall style and design of a home. 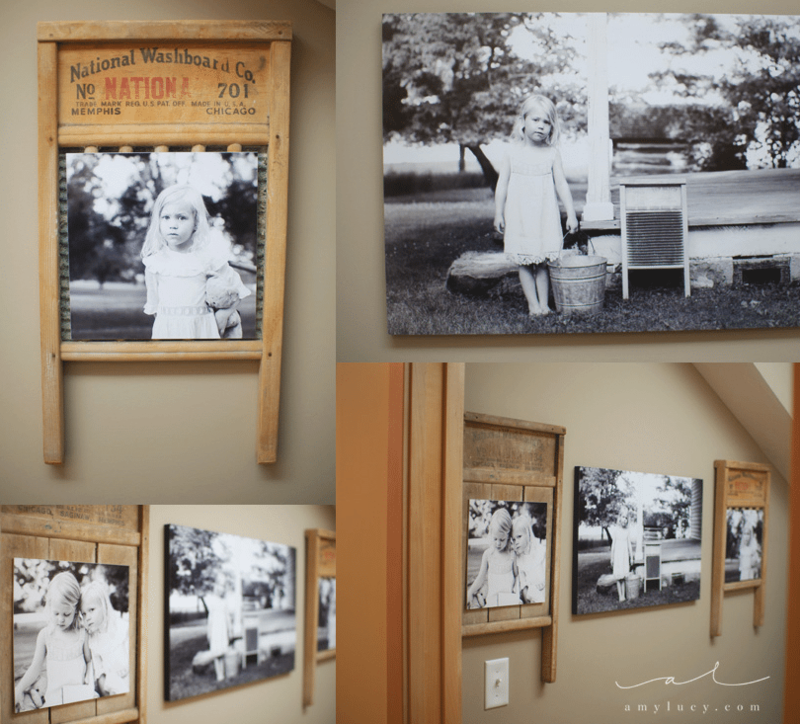 There are so many ways to display family photos, and here are just a few of my favorite creative photo display ideas. I say “a few,” but it’s actually a huge list to get your creative juices flowing. You’ll find photo display ideas ranging from modern and simple to rustic and industrial in this roundup. So, choose a look that fits your home, and get those photos off the camera — and onto the walls. 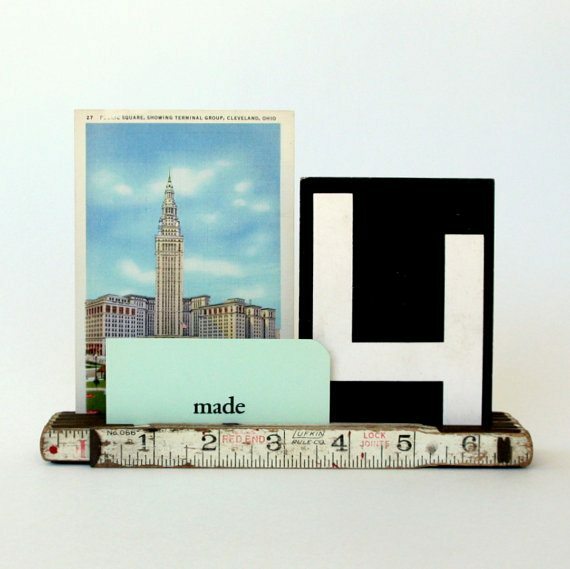 #1: Tuck family photos in between the segments of a folded vintage ruler. #2: Turn your flower frogs into photo frogs. 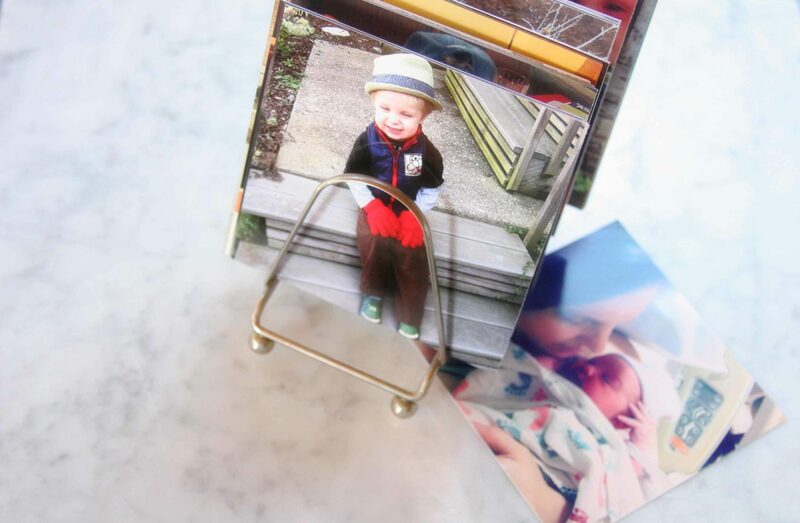 #3: Mailing organizers make a simple display spot for family pictures. 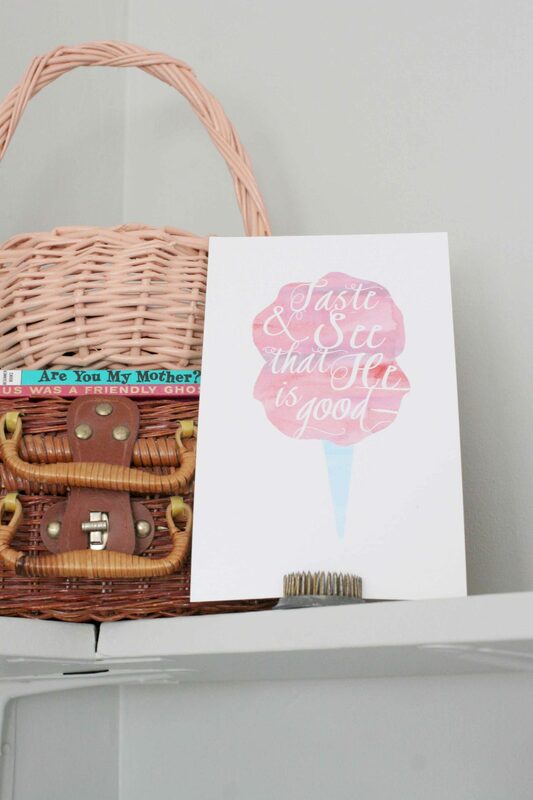 #4: Save baby’s crib springs and display family photos with clothespins. 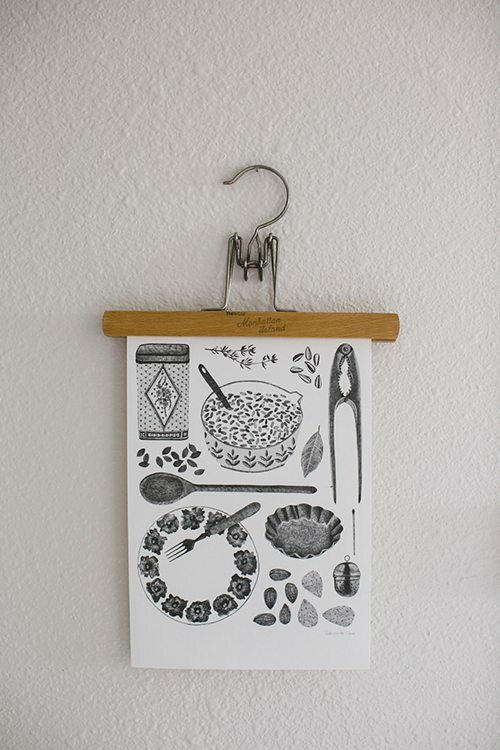 #5: Use old washboards in place of picture frames. 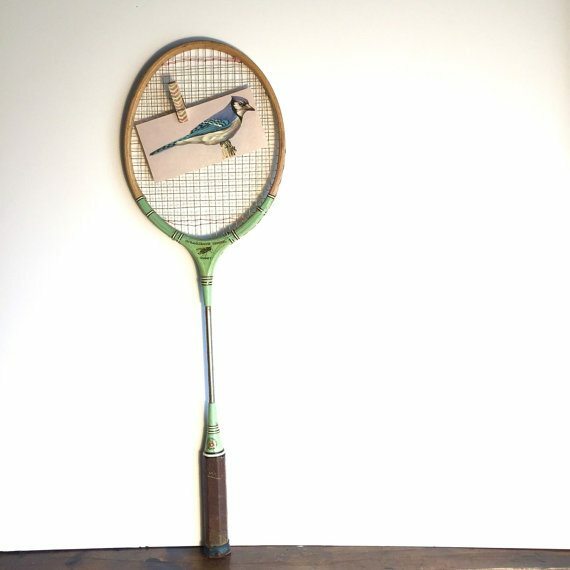 #6: A vintage tennis racquet would make a great photo display in a boy’s bedroom. #7: Glass windows are an easy switch from the traditional picture frame. 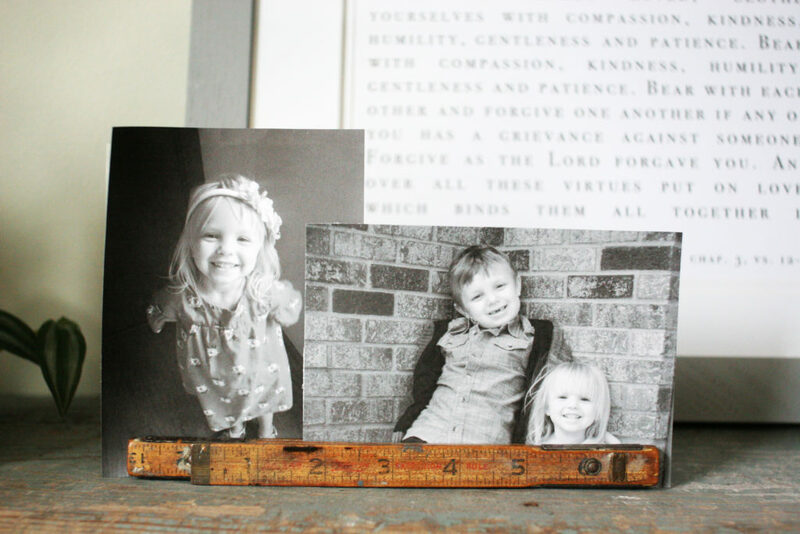 #8: A vintage wooden pant hanger is a simple photo display solution. 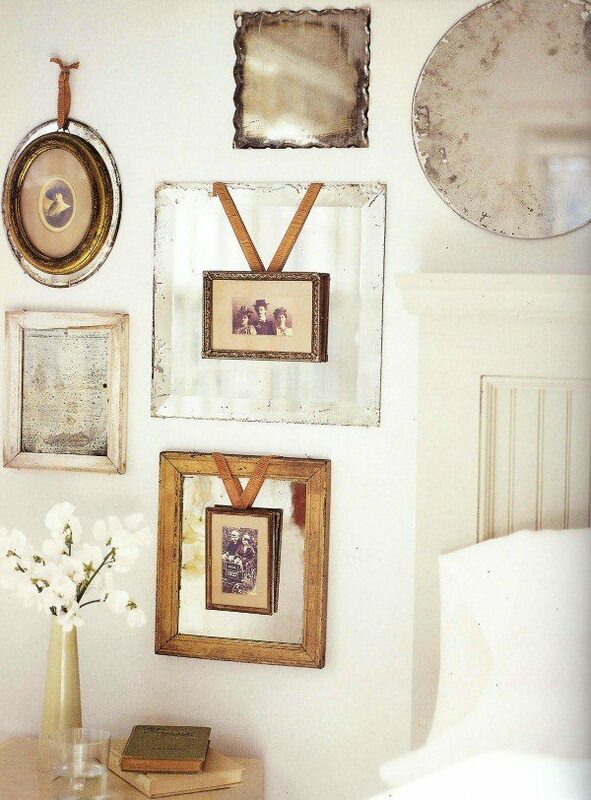 #9: Ribbon and mirrors make an elegant accent to a basic picture frame. #10: An old brush head is a unique photo display idea. #11: Mount a vintage ladder to the wall and turn it into a shallow shelf. 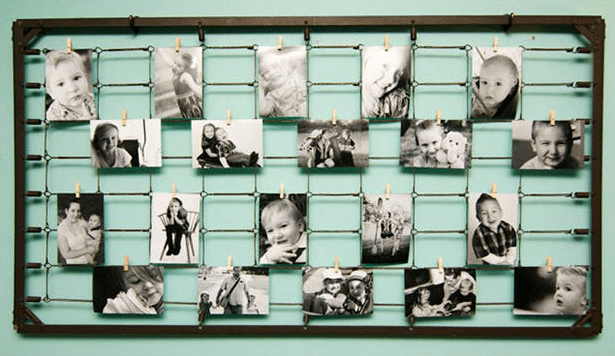 #12: A discarded shutter with twine and mini clothespins becomes a quick-change photo display. 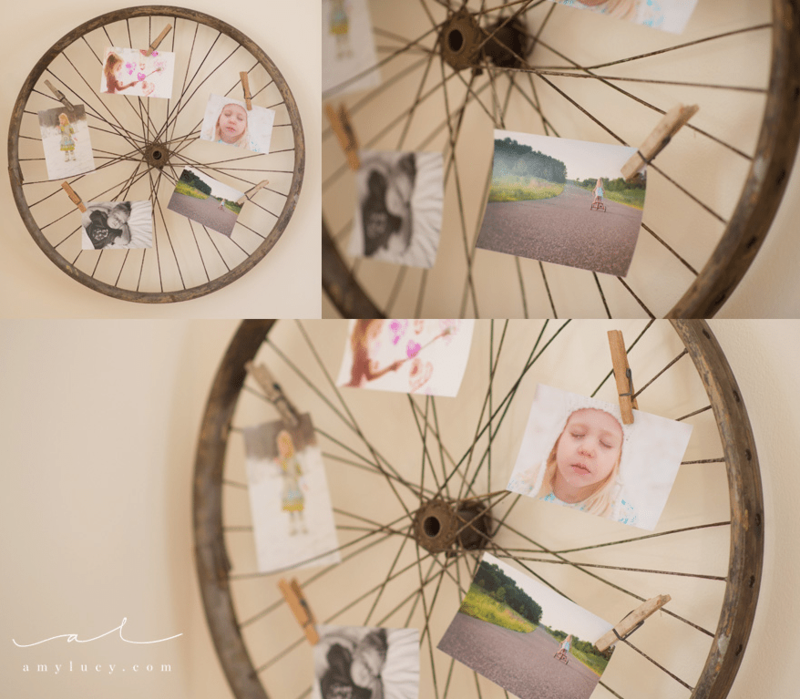 #13: Bike wheels make for interesting 3D wall art, and a spot to display family pics. #14: Save the lids to broken teapots for dainty photo displays. 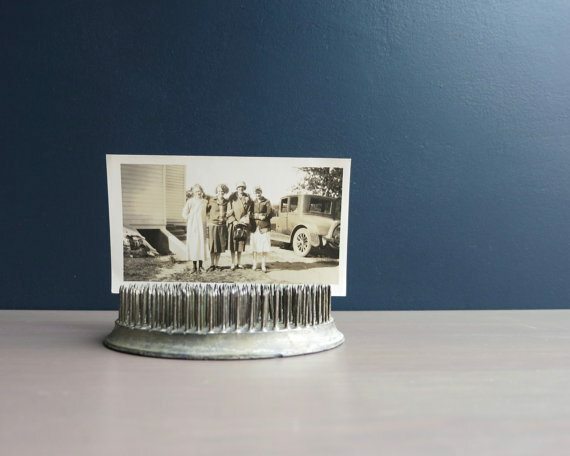 #15: Florence from Vintage Southern Picks has a collection of vintage photo display ideas, including old wooden sewing spools. Keep Reading! Read More: 40+ Amazingly Creative Photo Display Ideas that You’ll Love! So many creatives photo display options! Thanks so much for including not just one but TWO of mine 🙂 !! I would love to make a full wall of photos, but I haven’t been to find anywhere that sells a perplex screen big enough (to cover them to protect them). I really like the chalkboard idea. That could work for us. In fact, I think I might go buy a big one tomorrow! these are all so cool/creative! i LOVE taking photos and i think they’re the best to decorate your home with – what better than images of the people & things you love most? finding a pretty way to display them makes it even better. Displaying photos is my favorite thing to do! I have so many pictures around our house it is ridiculous! Love some of these unique ideas! It makes a house feel like a home! Congrats on the new apartment, Candy! Love all of these ideas so much! Especially the Caldwell Project on the wired wall art!! Yes, that one is so unique! Wow, so many great ideas! Love the ladder way up top! Me, too!! I want to try that. That’s great, Marina 🙂 Glad you stopped by! Thanks, Lauren — glad you liked them!! Wow there are so many beautiful options out there! Thank you so much for sharing your favorites with us! I can’t decide which one I like the most! Yes – it’s a tough decision! So many choices! 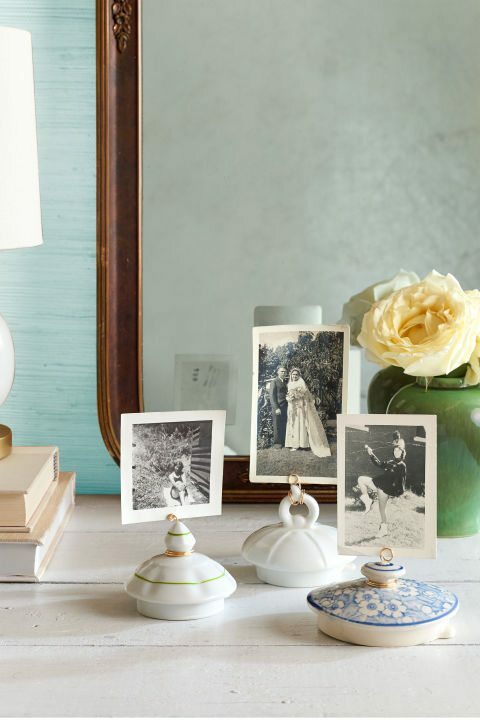 These are some fun ways to display photos. So cool and unique – there are some creative individuals out there. Currently, I only two photos up on a small wall. I I have been meaning to do something but moving throws everything off and it is taking a while to get all set up again. Moving makes things hard for sure! It just takes awhile to get everything sorted out. love the round up! that gold hula hoop?! genius!!! !